Meteorologist Jeff Masters says that while it might not be climate change, the tornadoes are just one of many weird weather phenomena this year that may be signaling major shifts in the climate. From April 25 to 28, 2011, a fierce and deadly storm system produced a total of 327 confirmed tornadoes in 21 states from Texas to New York, and even isolated tornadoes in Canada. Alabama was struck particularly hard. 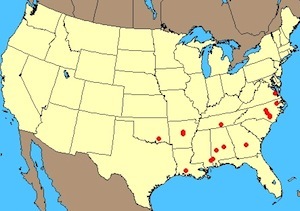 These April 2011 tornadoes killed at least 344 people people in the Southeast, Midwest, and Northeast. Then–on May 22, 2011–the deadliest single tornado since 1953 struck Joplin, Missouri, with at least 124 people now confirmed dead and more than 1,000 people reportedly injured. Shortly before the tornado struck Joplin, EarthSky spoke to meteorologist Jeff Masters of Weather Underground. He explained some of the science that has caused these fierce 2011 tornadoes in the U.S. In particular, he said, the location and strength of the jet stream played a role. In other words, the verdict is still out on whether climate change will create more deadly tornadoes, and, at this time, there is no evidence that it will. 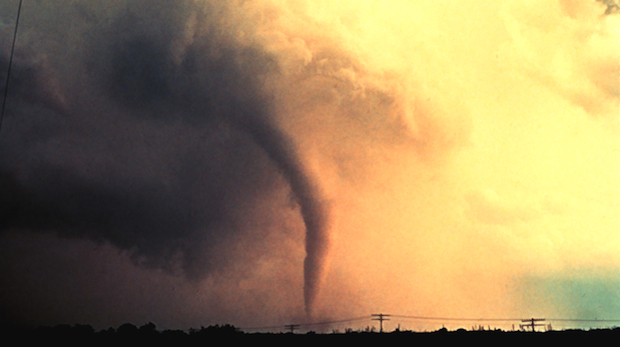 If climate change isn’t causing these deadly tornadoes, what is happening? “Every 30 or so years, you do see a violent tornado outbreak like this one, where you get 10 or more of these strong, or even violent tornadoes that have wind speeds of over 150 miles per hour. “2010 was tied for the warmest year on record, globally. It had the most extreme circulation in the Arctic on record. And that extreme circulation allowed some cold air to spill southward, causing some of these incredible snowstorms that we had — for example, ‘snowmageddon’ or two feet of snow in Baltimore. “That extreme Arctic circulation also allowed some of the warmest temperatures ever observed in the Arctic to occur in the winter. We had kind of an upside-down winter in North America. Canada had its warmest winter on record, and driest, in 2009 and 2010. But the U.S. had its coldest winter in 25 years. Now that’s really strange. “Another weird thing happened in 2010. We had the wettest year on record, globally, over land areas. We had the quietest global hurricane season on record. Normally, we get about 92 tropical storms, globally. But in 2010 we had only 68 of these.